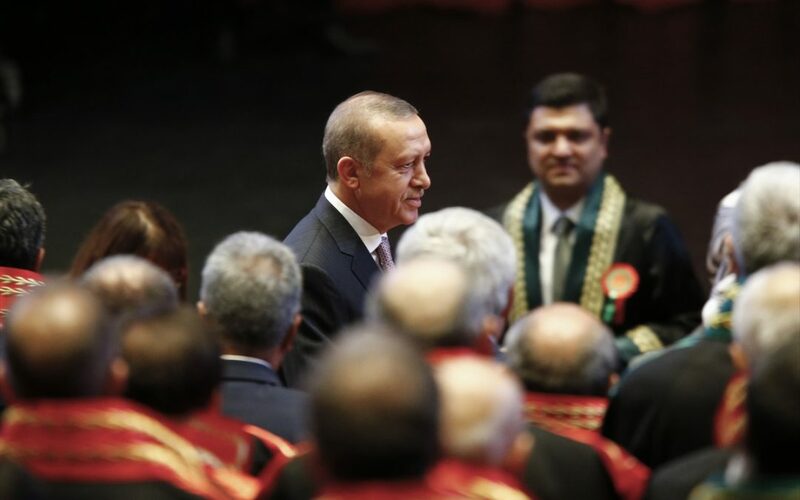 Zülfikar Tekirdağ, a Supreme Court of Appeals member who were detained as part of a government witch hunt shortly after July 15, has been released after he said in his testimony to a court in charge that he knows President Recep Tayyip Erdoğan in person. “I was named as a Court of Appeals member in accordance with the will of our President. We acted only on the president’s orders,” Tekirdağ said, according to Sözcü columnist Emin Çölaşan. Tekirdağ further elaborated in his testimony that his relations with the President are so close that he even knows the phone number of Erdoğan. Çölaşan said the Supreme Board of Judges and Prosecutors (HSYK) reinstated Tekirdağ in his former position at the Supreme Court of Appeals’ 9th Penal Division after his release. More than 123,000 people have lost their jobs since July 15 while over 87,000 people were detained and 42,400 arrested as part of investigations into the Gülen movement, which the government accuses of masterminding the July 15 coup attempt, over the past 6 months. Those implicated include journalists, police officers, businessmen, judges, lawyers, prosecutors, pilots, football players, academics, court clerks, teachers and many from several other professions.